Politician Vann Willis is about to achieve her lifelong goal when an explosion rips through her electorate office. She turns to veteran newshound, Seth VerBeek, to track down the culprits and uncover the reasons for the attack. The search leads to 'Maidenhead', a gothic-style homestead deep in the countryside. Forty years ago it was used as a so-called 'naughty girls' home', a secret hideaway for pregnant teens whose babies were removed for adoption. Nowadays, it houses a far more sinister enterprise with links to an underbelly of crime. Each chapter brings new twists and surprises: death threats, secrets from a hidden past, a blossoming romance. 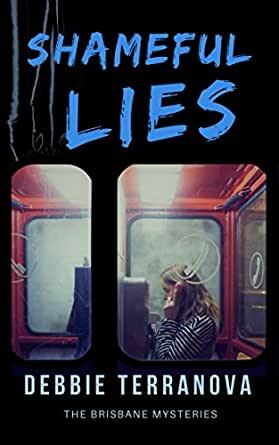 Piece by piece, Seth VerBeek and his young researcher, Cate, unravel the tangle of lies. Note: This novel was first published in 2014 as 'Baby Farm'. 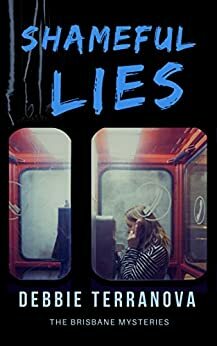 It was revised and re-released in May 2018 as 'Shameful Lies', available only on Amazon Kindle. I loved this book which deals with the sensitive subject of teenage pregnancy and forced adoptions. Terranova moves the tale seamlessly between the nineteen-seventies and the present day. I was drawn in right from the state and couldn't put it down - a fast-paced, page-turning tale. The characters were well drawn, plot all too believable and I enjoyed the familiar backdrop of Brisbane. I loved Seth VerBeek and look forward to meeting again in the author's next book. Baby Farm started a little slow however as it referred to local Brisbane spots this kept me engaged. The writing was a little light however the story was interesting. What a wonderful novel. A great balance of tension and suspense. True to the colourful Australian character. A great read and a first novel. Waiting for the next one. 5.0 out of 5 starsAn absorbing page-turner dealing with sensitive human issues. Having been a 1970's teenager in Wales, I found this story of a teen in Brisbane during that same decade absolutely fascinating. Despite being an entire world apart, some of the prevailing attitudes and behaviours described in Baby Farm's Brisbane held many similarities to the UK at that time. Today, I live in Brisbane and could feel, see, smell and taste the city in the present-day chapters of Baby Farm. To keep a reader vividly entrenched in the 70's, then brought convincingly back to 2014 on the turn of the page, must be the mark of a really talented author. Baby Farm is sad and clever, realistic yet shocking, sobering yet uplifting. Debbie Terranova nails the details in all the right places, so the reader is completely immersed in the story. Not all the characters are likeable - far from it. Even the main characters are flawed, but that probably makes them all the more relateable. Baby Farm is an absorbing page-turner dealing with sensitive human issues, principles, morals and ultimately - love. From the darkly compelling cover design, to the rich multi-layered story itself, I loved this novel from start to finish and can't wait to see what Debbie Terranova will come up with next! "Baby Farm is only the beginning of an end to those horrific practices and stereotypes inflicted by society on young unwed mothers in the past. Not only has the author written a most compelling read, she has created an 'A Team' of characters that readers will beg to engage with again and again. Davide A Cottone."